A wifi wine bottle that is connected to the Internet? Why would anyone want that? Well, I supposed if you have just about every wine toy out there, you might as well add this one to your collection. 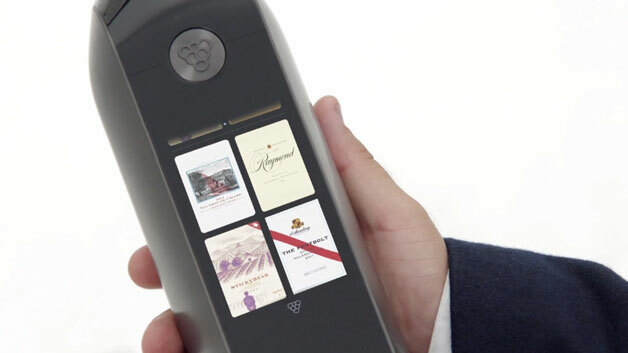 A Boston startup, Kuvée, has created a wifi wine bottle with a digital display on its touch screen. You insert a cartridge that is filled with wine and up comes the info on the screen – with all of the content that you would want on any label. The logo, the varietal(s), the alcohol content, the winemaker, and whatever other information they choose to include. If you decide you want some other wine, you pop the wine cartridge out and put another one in… and the label changes information to whatever is in that cartridge. So is it worth the $199 price tag? Well that does include 4 wine cartridges, but you will need to continue to buy cartridges from Kuvée in order to continue to use the bottle. There are multiple wines available from 14 wineries – lots of whites and reds to choose from. I suppose if you buy several cartridges, you have choices throughout the month. Sort of like your own wines-by-the-glass wine list at home. The cartridges range from $15 to $50, so there appears to be plenty of choices. Wines from Coppola, Kenwood, Clos Pegase, Girard, Bonny Doon and Cosentino Winery are just some of the wineries that are participating in this packaging. The plan is to add more as bottle sales grow. The company claims that the wine is kept fresh for 30 days. Trust me when I say when I open a bottle of wine, there’s no way it’s going to last 3 days, let alone 30 days. But Kuvée states that they have tested the wines with sommeliers. These guys know which of the qualities the wine is losing over time, but most consumers probably would not be able to detect the differences. Additionally, they have tested the wine chemically, so at least there is some physical evidence of the specifics of what is changing and where the tolerance level is for most wine drinkers. Also, because the bottle is not made of glass, you can’t see what is left in the bottle. There is a small digital indicator which guestimates what’s left. But when you are really savoring that last bit of the pour, you really don’t want to be left short. Even with regular glass bottles, I swear that the “angel’s share” (the amount of alcoholic liquor that evaporates during distillation) gets bigger all the time. A consumer can pour from this bottle, read the information about the wine they are drinking, and then go directly to the Kuvée website to order more cartridges… all without getting up from the table. How convenient! Anyway, with the holidays around the corner, this wifi wine bottle could be a fun wine gift for your wine friends and family. Or just get them a few bottles of some nice wine and forget this thing. In ancient Rome, amphorae were used instead of glass wine bottles, Until they developed the technique of glassblowing, which was used to make wine bottles. 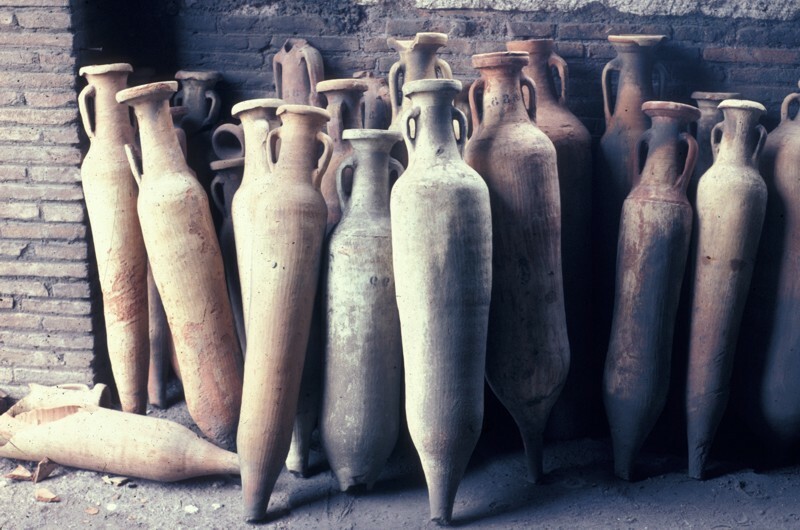 Now just a thought for you out there… Do you think this is how the ancient Romans felt when they went from the amphorae to a glass container, aka the wine bottle? Always pondering! Learn more about wine bottles with our widely popular article Wine Bottle Shapes And Sizes. More wine toys and gift ideas for the holidays! I’m a digital native and I love wine, so I think this is a very good innovation, also because we are talking about wine !